Despite having a title called Monstruo, the book isn't all about monsters. Carlos Huante has included some very unique and dark character designs. In the afterword, he explains why he choose such dark subject matter. There are pencil sketches, sculptures and digital paints. The subjects include monsters, humans and mecha robots. The character designs are often out of the world. 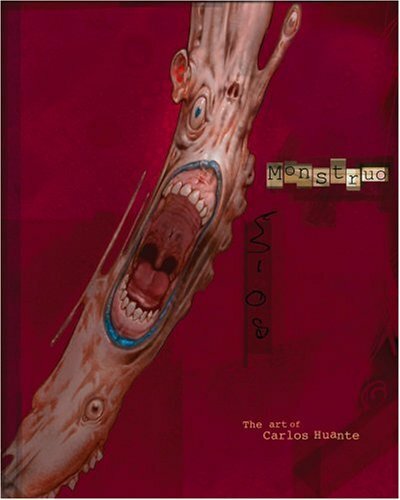 The introduction is written by Carlos Huante himself. There's also short biography. Right at the back, he explains the meaning behind 6 of his illustrations. You can check out more of his work on his official website. There are galleries for images and sculptures.